Hey babes! How are you? Today it's Tuesday and day 23 in the challenge, which means that today's theme is inspired by a movie. 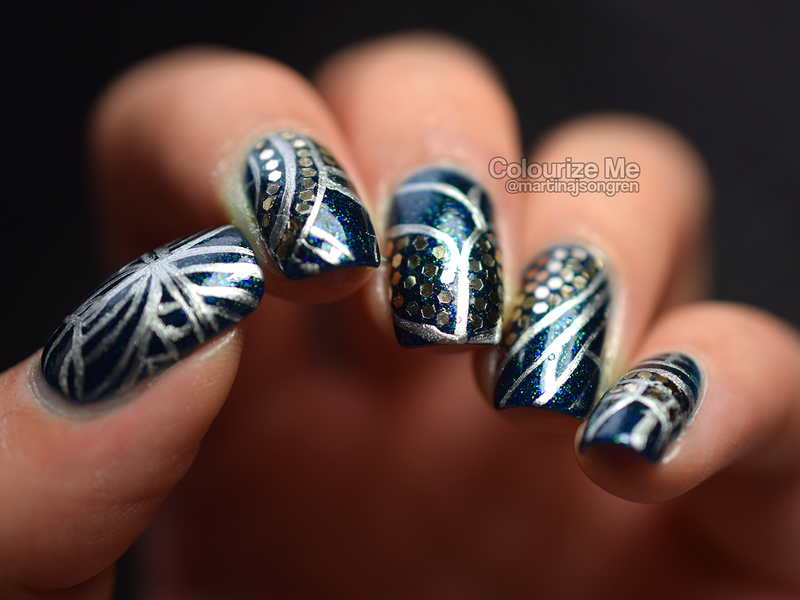 Take a look at my manicure! Can you guess which movie I used as inspiration? If you guessed Monsters vs. Aliens you guessed right! My inspiration for this manicure was the costume Susan is wearing. You can see it if you click here and here. I used Pahlish Boundless As The Dark as a base for this manicure. 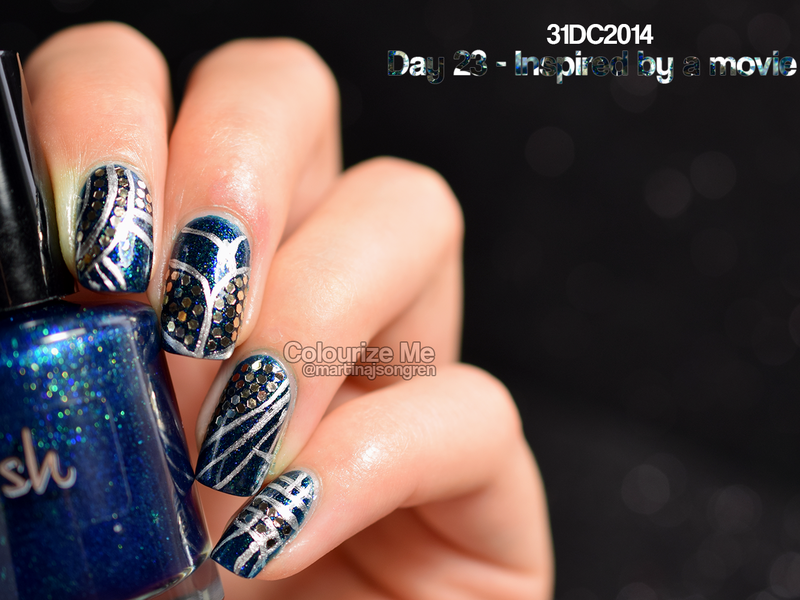 It's a highly pigmented blue polish with shimmer flakes in blue and green. Then I used a striping brush and Depend 223 to paint the stripe pattern. I put on a little bit of clear polish the shapes that I wanted glitter and then I used a dotting tool to place the glitters. Then I finished with top coat! 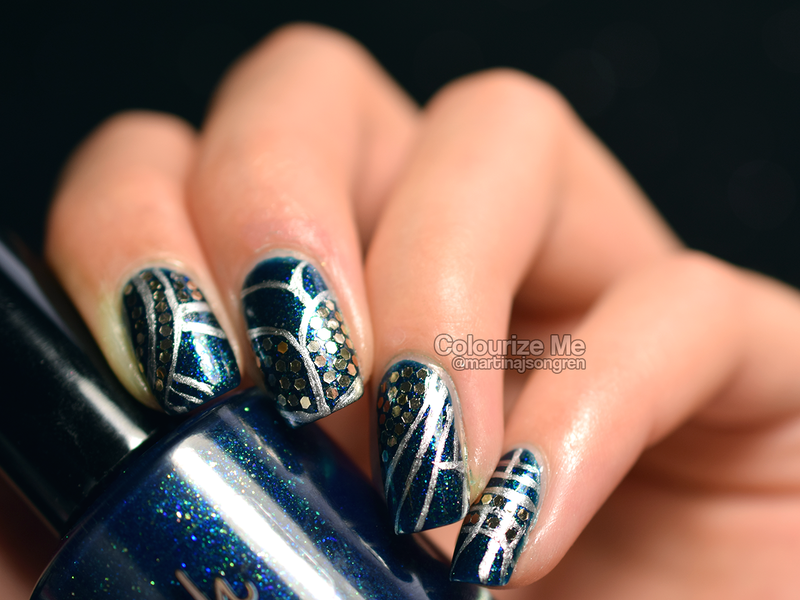 I really like this manicure, what do you think? 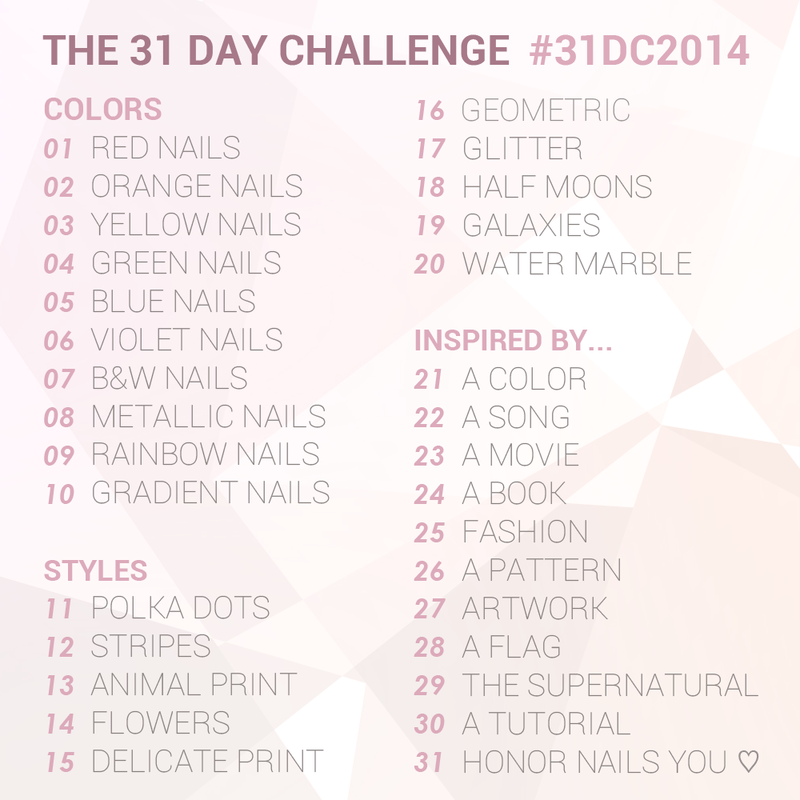 Check out day 23 from last years challenge, click click! Great manicure! I haven't seen that movie.. yet.